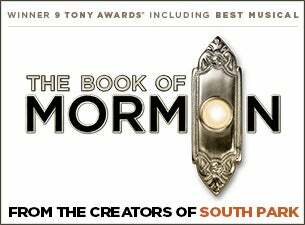 South Park creators Trey Parker and Matt Stone’s nine-time, Tony Award-winning The Book of Mormon is now celebrating five years in the West End. This hysterical, laugh-out-loud musical follows two Mormon missionaries as they travel to a remote Ugandan village in an attempt to convert the inhabitants to their religion – with hilarious results. Featuring songs such as Hello, Man Up and I Believe, The Book of Mormon is a profanely funny ”work of genius” (The Guardian).